Dadaab Refugee Complex, Kenya, May 12, 2016. (by Robyn Dixon, Los Angeles Times) – Kenya’s High Court on Thursday, February 9, overturned a government order to close the world’s biggest refugee camp, home to more than 300,000 Somali refugees, including some who have lived there more than 20 years. 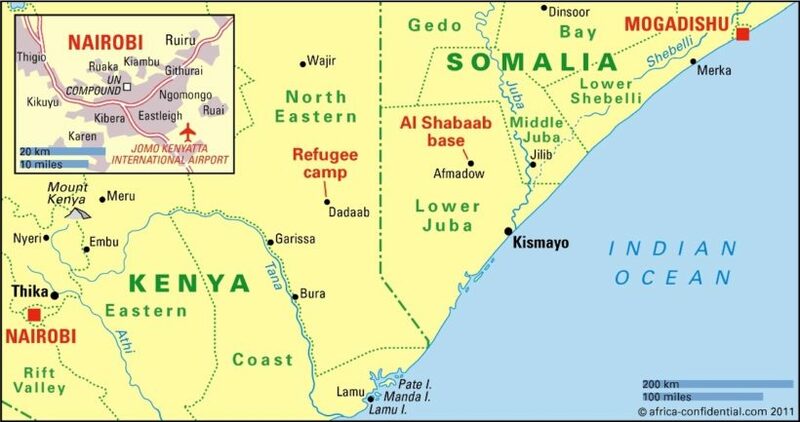 The Kenyan government announced in 2015 it would close the Dadaab refugee camp, sending many people back to Somalia, arguing the camp was “an existential security threat to Kenya,” and a “nursery for Al Shabab,” the Al Qaeda linked Somali terrorist group. Human rights groups Amnesty International, Kituo Cha Sheria and the Kenya National Commission on Human Rights launched the court challenge against the closure. In a toughly worded judgment, Kenyan Judge John Mativo ruled Thursday that the Kenyan interior minister and other officials had exceeded their powers and violated the law in their decision to close the camp, which he found would amount to group persecution of Somali refugees. He also found that the move would flout Kenya’s international treaty obligations on refugees. “The government’s decision specifically targeting Somali refugees is an act of group persecution, illegal, discriminatory and therefore unconstitutional,” Mativo said. The judge also ruled out the the repatriation of refugees to Somalia, since Kenya had not shown it was safe for refugees to return. In Somalia, the Shabab has recently beheaded people it accused of collaborating with Ethiopian forces [the Ethiopian military had been fighting the Shabab terrorists in Somalia]. It has killed those who cooperated with the Somali army or allied United Nations-backed African forces, the African Union Mission to Somalia. It has assassinated people working for the government and in rural areas has killed people who disobeyed its harsh rules, such as impoverished people who burned charcoal to survive. The Shabab forcibly recruits youths to fight and levies heavy taxes in areas it controls, particularly on traders and transport operators. Human rights groups welcomed the decision to halt the closure of the camp, but the government said it would appeal the decision. “For us as a government, Kenya will always come first. The lives of Kenyans matter. It is for this reason that we shall be strongly appealing the decision by the High Court,” government spokesman Eric Kiraithe told journalists Thursday in Nairobi. Kenya has seen many gruesome terrorist attacks by the Shabab, including the 2013 Westgate shopping mall attack in the capital, Nairobi, which killed at least 67, and the 2015 attack on a university in the northern town of Garissa, which killed at least 147. The government says both attacks were planned by terrorists living in the Dadaab camp. …The Kenyan government frequently targets ethnic Somalis in security raids, particularly in the Somali neighborhood of Eastleigh, near Nairobi. In 2014, Kenya rounded up more than 1,000 Somalis, including women and children, detained them in a football stadium and deported those without documents. Somalis have continued to flee to Kenya since 1991 as stability has eluded their country, ravaged by famines, droughts, clan warfare and the Shabab. The last big influx of refugees was in 2011, when a famine drove thousands from their homes and some 260,000 people died. Another famine is looming in Somalia, U.N. agencies have warned, threatening another massive exodus. Somalia took a halting step toward stability Wednesday, February 8th, by electing a new president, a 55-year-old former prime minister who lived in the United States for many years and is a U.S. citizen. 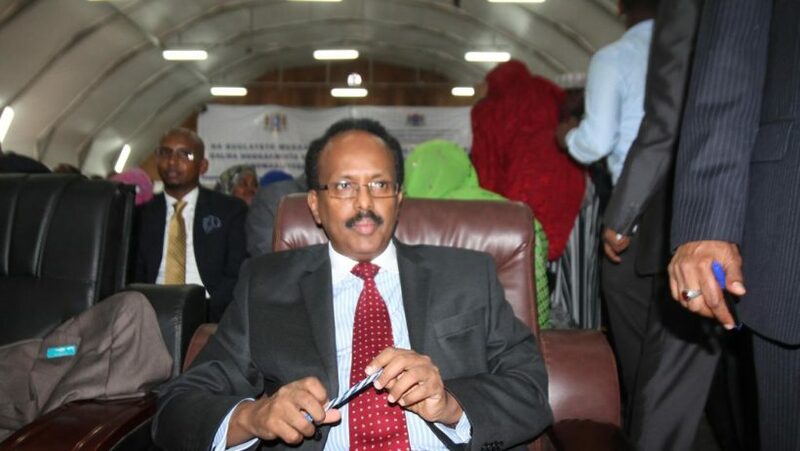 Mohamed Abdullahi Farmaajo was voted into office by the parliament, which gathered at the Mogadishu airport because it was deemed the most secure place in a capital plagued by suicide bombings and armed attacks by the Islamic terrorist group al Shabab. Mohamed Abdullahi Farmaajo was elected president of Somalia by lawmakers in a vote held at the Mogadishu airport. The voting was streamed live online, and celebratory gunfire rang out in Mogadishu as Farmaajo moved ahead. After the result was announced, crowds surged into the street chanting his name, local journalists reported. Farmaajo was born in Mogadishu and once worked in the foreign ministry of [dictator Mohamed] Siad Barre, which deployed him to Somalia’s embassy in Washington in 1985. He left the embassy in 1989 to study at the State University of New York in Buffalo. After the collapse of the Siad Barre regime in 1991, when Somalia erupted in clan warfare, Farmaajo sought asylum in the U.S. In 2010, he returned to Mogadishu to take up the post of prime minister, a job to which he was appointed. As prime minister, Farmaajo was seen as a reformer who made sure that security forces got paid, forced lawmakers to disclose their assets and set up an anti-corruption commission. The vote Wednesday was tinged by corruption. The electors were lawmakers who themselves were chosen in October by 14,000 clan leaders, politicians, elders and community figures in an election marred by vote buying, bribes, threats and at least a few killings. A local anti-corruption group, Marqaati, reported that more than a quarter of the voters in the October election that it interviewed had been harassed or intimidated and that 32% of elders had been offered bribes. Votes were sold for as much as $30,000 each and candidates paid more than $300,000 in bribes to get parliamentary seats, the group said. Several candidates pulled out of the presidential race in protest. Somalia aims to hold direct elections in 2020, giving ordinary Somalis a chance to vote. Officials have said that doing so currently is too risky, given insecurity and clan tensions. Farmaajo defeated 20 other presidential candidates. …The incumbent president, Hassan Sheikh Mohamud, was second with 97 votes. A former peace activist, he had faced criticism for being too close to the Ethiopian government, which had sent forces into Somalia to fight Shabab but withdrew them late last year. The election is a modest step toward political stability. But Somalia remains fragile because of looming famine and Shabab, which has carried out a series of devastating attacks in recent months. Security forces and civil servants have gone unpaid for months, and the United Nations recently warned that some members of the Somali army could defect to Shabab. (by Alastair Jamieson, NBC News) – A majority of Europeans would support a Trump-style ban on further migration from mainly Muslim countries, according to a poll of more than 10,000 people in 10 European countries. An average of 55 percent of those surveyed for London-based think tank, Chatham House, agreed that immigration from Muslim-majority countries should be halted. The poll released Tuesday, Febuary 7, comes after a bruising 18 months that have seen a string of terrorist massacres linked to radical Islam as well as record-setting levels of migration that have created social tensions across the continent. 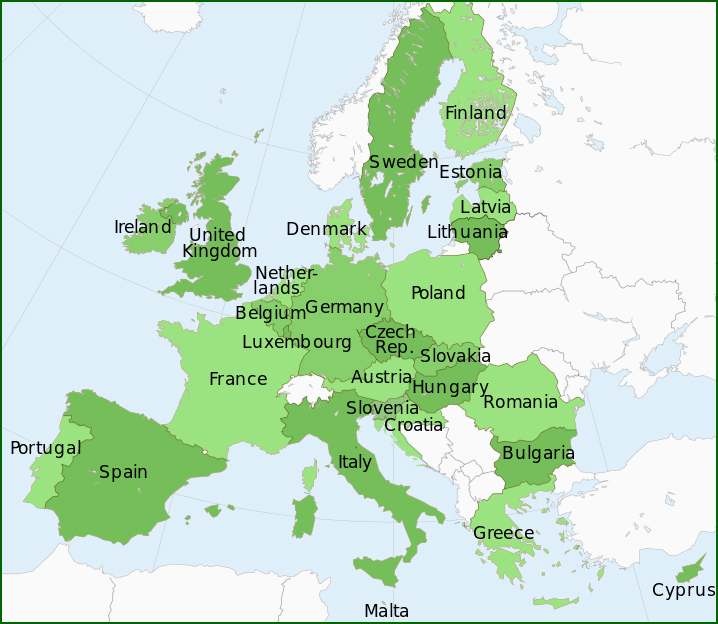 Majorities in all but two of the 10 countries polled supported a ban, ranging from 71 percent in Poland, to 53 percent in Germany, 47 percent in the United Kingdom and 41 percent in Spain. In no country did the percentage that disagreed surpass 32 percent. The poll, carried out before President Trump took office, also found that the issue crossed the political spectrum — three-quarters of respondents in support of a ban identified as right-leaning and more than a third said they were left-leaning. Support for a ban is also higher among older Europeans than younger ones, and there’s an educational divide: less than half of all college graduates supported further migration curbs. The Chatham House poll, conducted with Kantar Public, surveyed samples of over-18s in Austria, Belgium, France, Germany, Greece, Hungary, Italy, Poland, Spain and the U.K. Fieldwork was carried out between Dec. 12, 2016, and Jan. 11, 2017, and involved 10,195 respondents. Find the answers at the CIA World FactBook website. For each country, answers can be found under the “Geography” “People” and “Government” headings. 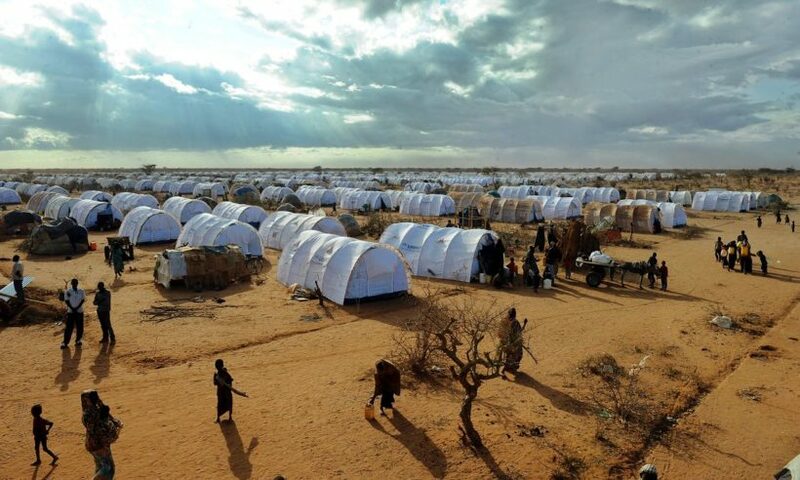 c) How many Somalis live in the Dadaab refugee camp? d) For how long have many Somalis lived in the refugee camp? e) Describe Kenyan Judge John Mativo’s ruling on the Kenyan government’s decision to close the Dadaab refugee camp. f) What was the government’s response to the judge’s ruling? g) Consider the following: The camp is run by the United Nations UNHCR (The UN’s refugee agency). Following the 2013 al Shabab terrorist attack in which almost 70 shoppers in a mall were murdered and the 2015 al Shabab terrorist attack in which almost 150 Christian students at a university were murdered, the Kenyan government attempted to repatriate Somali refugees from Dadaab refugee camp back to Somalia. The government says that Al-Shabaab uses Dadaab to recruit new members. Kenya has a stable, democratically elected government. The government has a legitimate concern about al Shabaab recruiting Somalis from Dadaab. What should the Kenyan government do to keep its citizens safe from further terrorist attacks? b) Why did the Somali parliament gather at the Mogadishu airport to vote for new president Mohamed Abdullahi Farmaajo? c) Explain how President Farmaajo obtained U.S. citizenship. d) What criticisms have been made about the election? e) When are the Somali people expected to be able to vote for their president in direct elections? – Why couldn’t it be done this year? f) Al Shabab Islamic terrorists destabilize Somalia and surrounding countries. The UN Charter sets out four main purposes: Maintaining worldwide peace and security. Developing relations among nations. Fostering cooperation between nations in order to solve economic, social, cultural, or humanitarian international problems. Should the UN and the AU (African Union) take a leadership role in destroying this group? Why or why not? 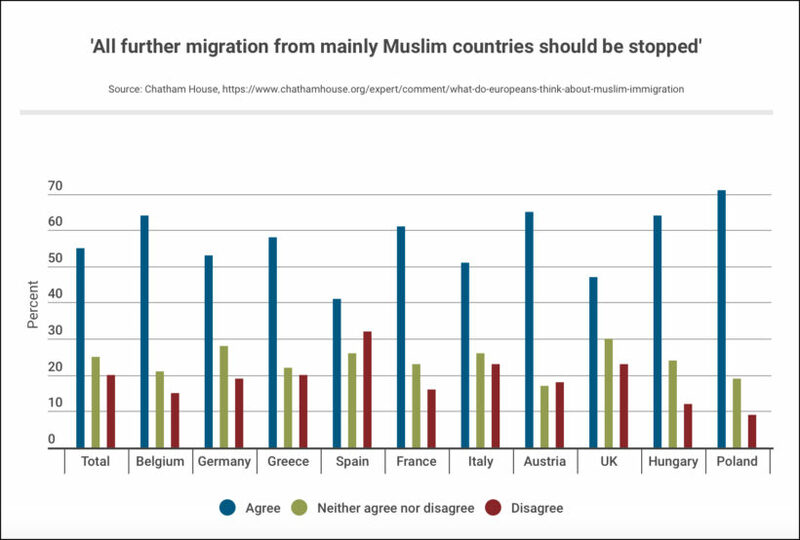 b) What percent of those surveyed overall from 10 European countries for London-based think tank, Chatham House, agreed that immigration from Muslim-majority countries should be halted? c) In how many of the countries did the majority of respondents support a halt on immigration from Muslim-majority countries? d) What did Chatham House say the numbers suggest? e) Note that less than half of all college graduates supported a halt on immigration from Muslim-majority countries. Do people who are more highly educated know more about what is good for their culture/country than those without a college degree? What do you think? Who has more common sense? Explain your answer. Free Answers — Sign-up here to receive a weekly email with answers. The majority of refugees in Dadaab camp in Kenya have come as a consequence of the civil war in southern Somalia as well as due to droughts. The first section was constructed in 1992. In 2005, around 97% of registered refugees at Dadaab were Muslims from Somalia. The remainder mainly consisted of Muslims from the Somali Region (Ogaden) in Ethiopia, Ethiopian Christians and Sudanese Christians, totaling 4,000 individuals. While the Muslim minorities did not face any persecution, tensions with the Christian minorities were reportedly high. According to the UNHCR, 80% of residents were women and children and 95% were Somalia nationals as of mid-2015. Of the registered refugee population from Somalia, the number of men and women is equal, but only 4% of the total population is over the age of sixty. Each year, thousands of children are born in the Dadaab camps. A number of adults have spent their entire lives as refugees in the complex. In November 2013, the Foreign Ministries of Somalia and Kenya and the UNHCR signed a tripartite agreement in Mogadishu paving the way for the voluntary repatriation of Somalia nationals living in Dadaab. Both governments also agreed to form a repatriation commission to coordinate the return of the refugees. This repatriation effort was in response to an attack on the Westgate shopping mall in Nairobi, Kenya in September 2013, and belief that Al-Shabaab, the militant group responsible for the attack, was using Dadaab to recruit new members. Following the Garissa University College attack in April 2015, where al Shabab gunmen took over 700 students hostage, freed the Muslims and murdered those who identified as Christians, the Kenyan government asked the UNHCR to repatriate the Dadaab refugees to a designated area in Somalia within three months. The proposed closure was reportedly spurred by fear that Al-Shabaab was still recruiting members from Dadaab. Somali Pirates: in 2009, Navy Seal snipers rescued an American cargo ship captain unharmed and killed three Somali pirates in a daring operation in the Indian Ocean, ending a five-day standoff between United States naval forces and a small band of Somali pirates off the Horn of Africa. From January 2013: The U.S. re-established diplomatic relations with Somalia in 2013. In 1993 Americans were anguished by scenes of US soldiers being dragged through the streets of Mogadishu by a mob after Somali militants shot down two Black Hawk helicopters. Eighteen Americans died, and 80 were wounded. Somalia has not had an effective central government since 1991. But a new Somali administration took office in 2012, ending eight years of transitional rule by a corruption-riddled government. In recent months of 2013, a 17,000-strong African Union force, fighting alongside government troops and Ethiopian soldiers, and backed by US aid, finally wrested a string of key towns from the control of Islamist Shabaab insurgents.